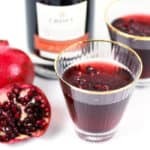 Say cheers with a Sparkling Pomegranate Port Wine Cocktail! 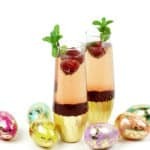 This rutilant drink marries the sweetness of Port wine with tart pomegranate and a hint of orange flavor, topped with a bit of bubbly champagne. This post is sponsored by Croft Port. Thank you for supporting the brands that support Feast + West! New years are all about trying something new, are they not? That’s my favorite part of a new year — you get an opportunity to change and try new things. Whether that’s a resolution to eat better, a vow to sleep more or a promise to travel farther, it’s the most exciting time ever. I just love that clean slate! A new year is also a good time to reflect on the new things you tried/ate/drank/did/saw/visited in the last year. 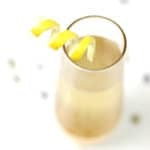 My list starts with a new job, a new house and a new cat (and four kittens) and ends with Nashville hot chicken, homemade spiced rum and Port wine. Port wine is one of my favorite recent discoveries. I remember my South African grandfather always had a bottle of it in his liquor cabinet, next to the red wine and sherry. It was on my radar, but not something I considered buying until Croft Port sent me a couple of bottles of their Reserve Tawny Port to sip on its own and to mix into cocktails. Hands down, Port is one of my favorite discoveries of the year. Hailing from Portugal’s Douro Valley, this fortified wine is sophisticated, complex and rich with history. 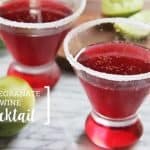 I find it’s not common in cocktails, but I think that needs to change! 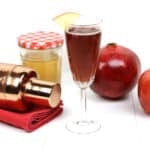 Tawny Port is aged in oak barrels, and it’s a bit sweeter and more amber in color than its rosy red sister, Ruby Port. 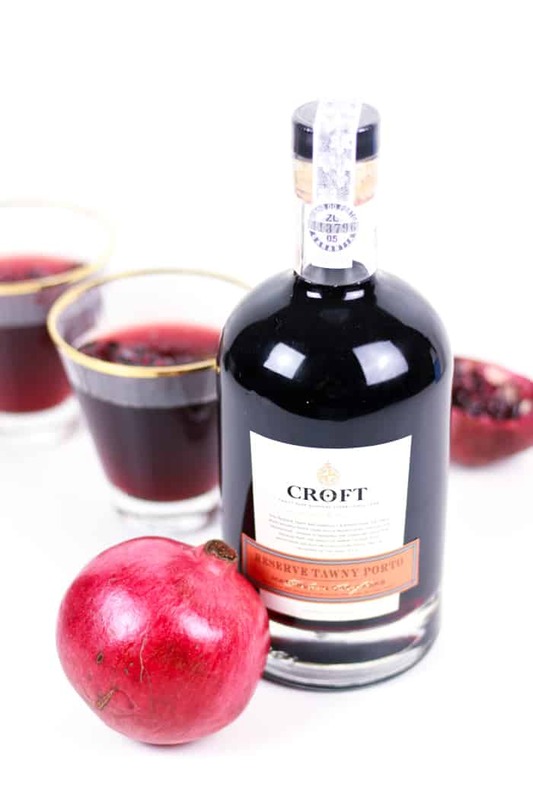 On its own, the Croft Reserve Tawny Port has hints of caramel, cloves and berries and an elegant finish. 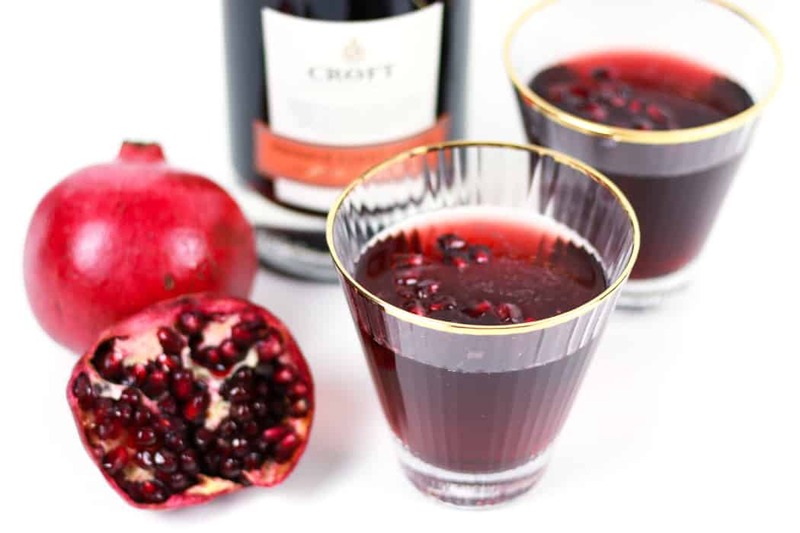 For this Sparkling Pomegranate Port Wine Cocktail, I paired the Croft Reserve Tawny Port with zesty triple sec, pomegranate juice and a generous splash of champagne for a fancy New Year’s Eve cocktail or an anytime sipper. 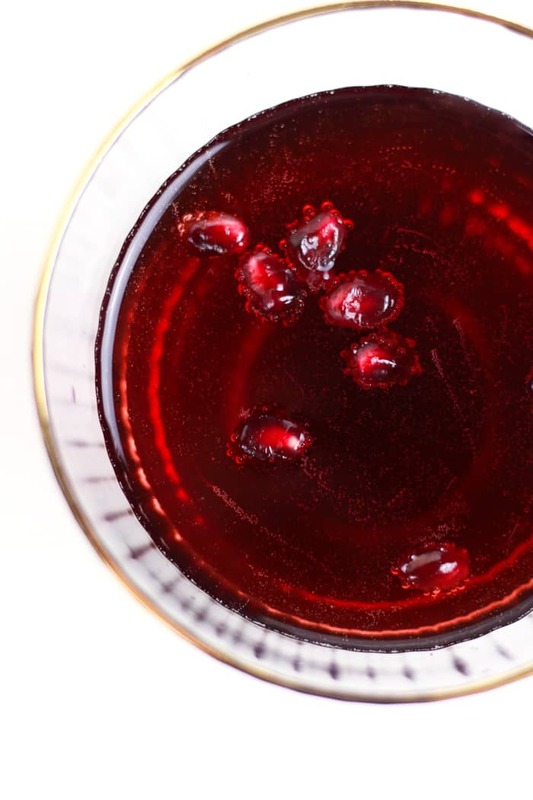 Its carmine color is elevated with a sprinkle of fresh pomegranate seeds dancing in the bubbles. 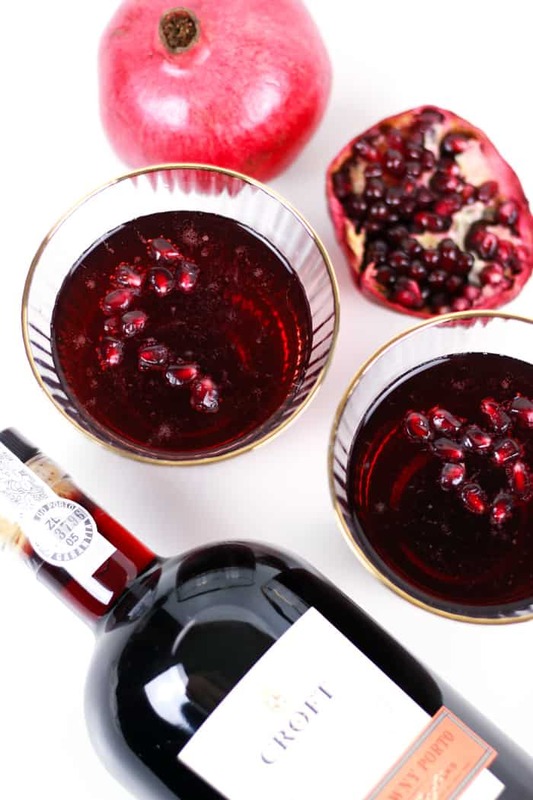 Port wine pairs with zesty triple sec, pomegranate juice and a generous splash of champagne for a fancy New Year’s Eve cocktail or an anytime sipper. 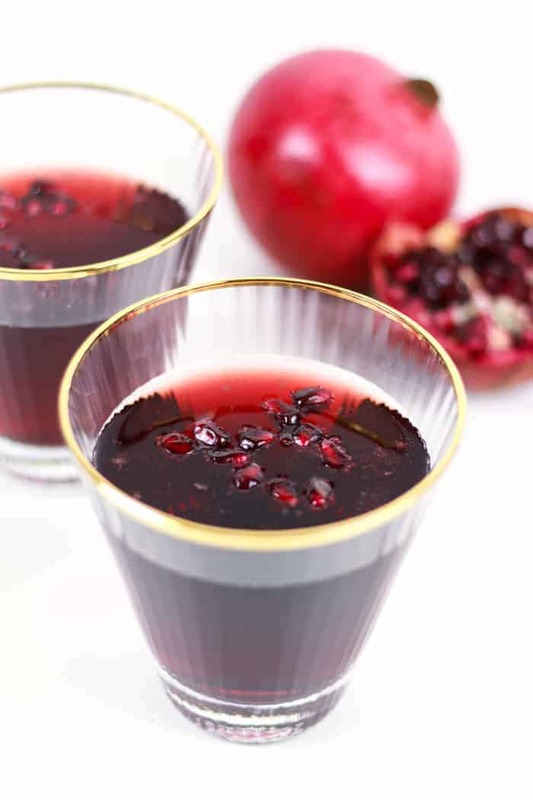 In a wine glass or champagne flute, add triple sec, Port and pomegranate juice. Swirl glass to combine. 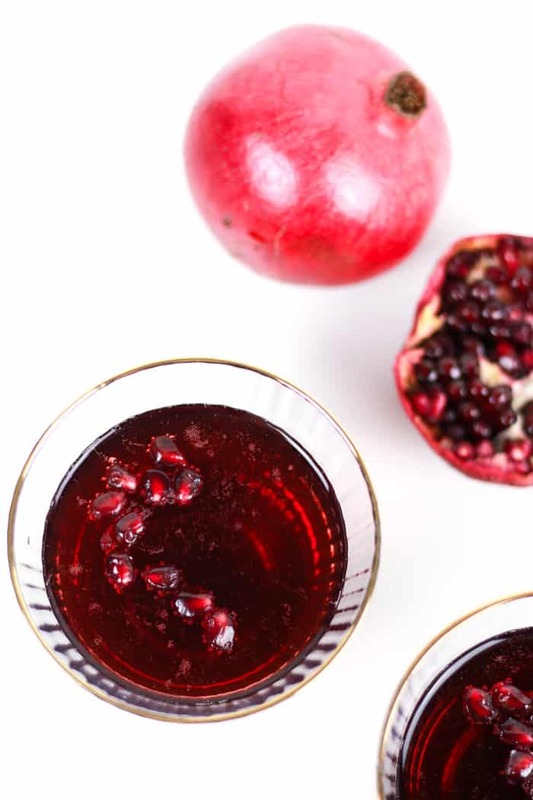 Top with champagne and a sprinkle of pomegranate seeds for garnish.